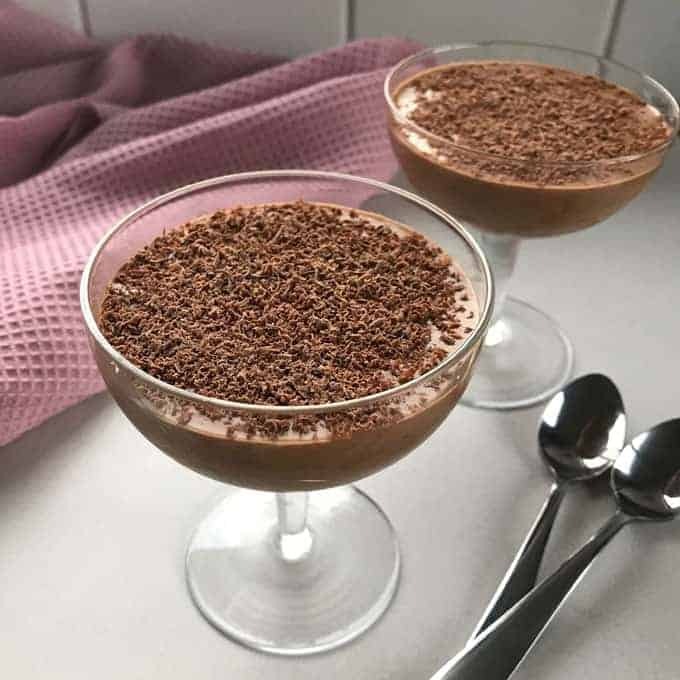 This is such an easy recipe for chocolate mousse, it is so simple to make with only 4 ingredients and you can use any chocolate you like. 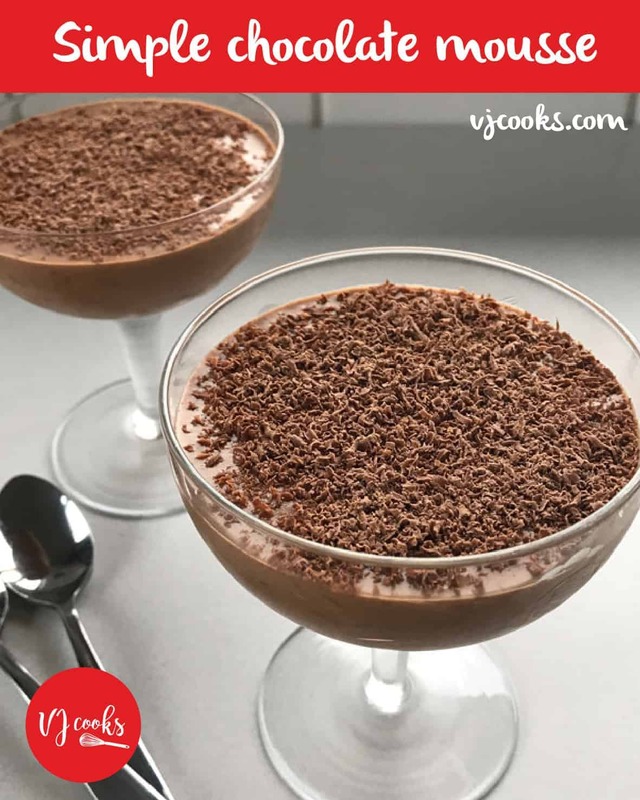 This chocolate mousse is a perfect dinner party dessert to share with your family and friends. You can serve it in individual glasses or you can serve it in one large bowl. 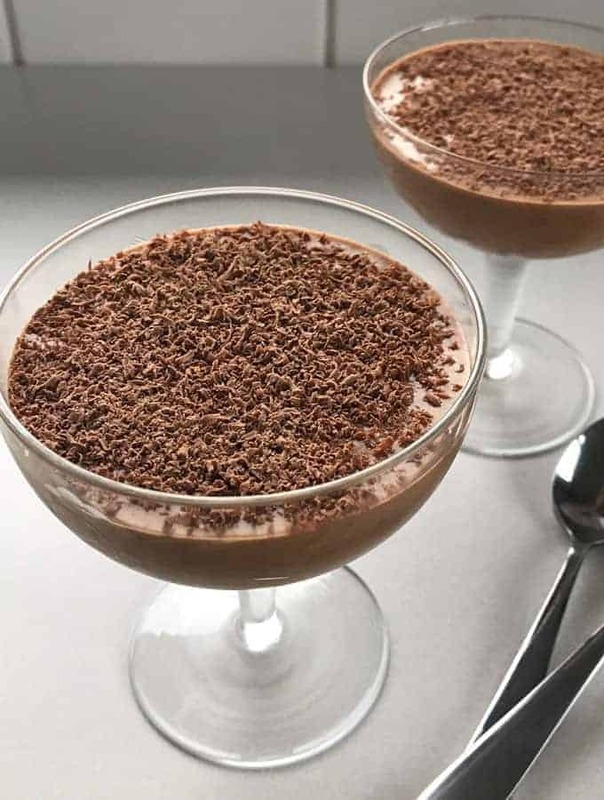 There is only four ingredients in this chocolate mousse: cream, eggs, chocolate and brown sugar. 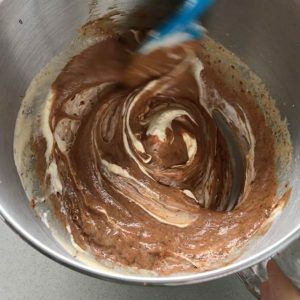 I like to use dark chocolate in my chocolate mousse but this recipe would also work very well with white or milk chocolate. 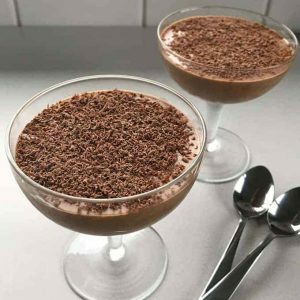 To make this chocolate mousse you whisk the eggs with the brown sugar, pour in the melted chocolate and fold through the whipped cream. 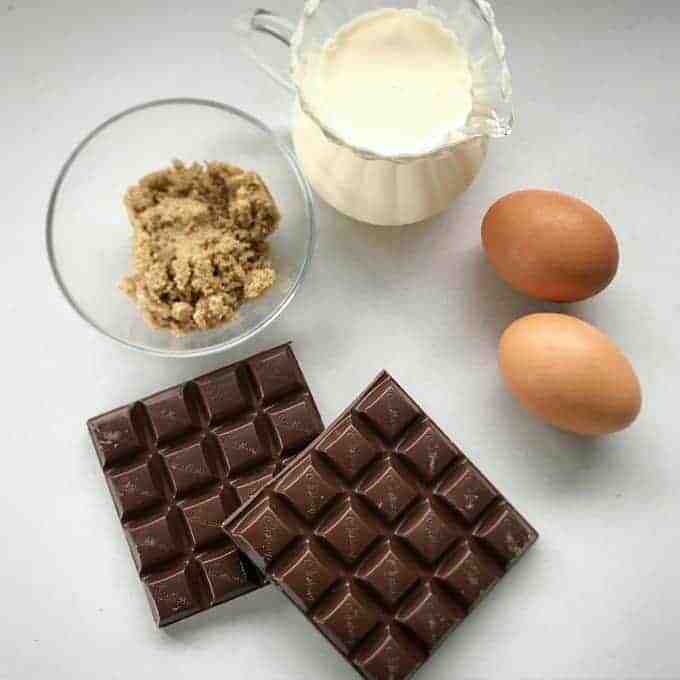 Before melting the chocolate remember to finely grate two tablespoons and set it aside, this is for garnish on top at the end of the recipe. 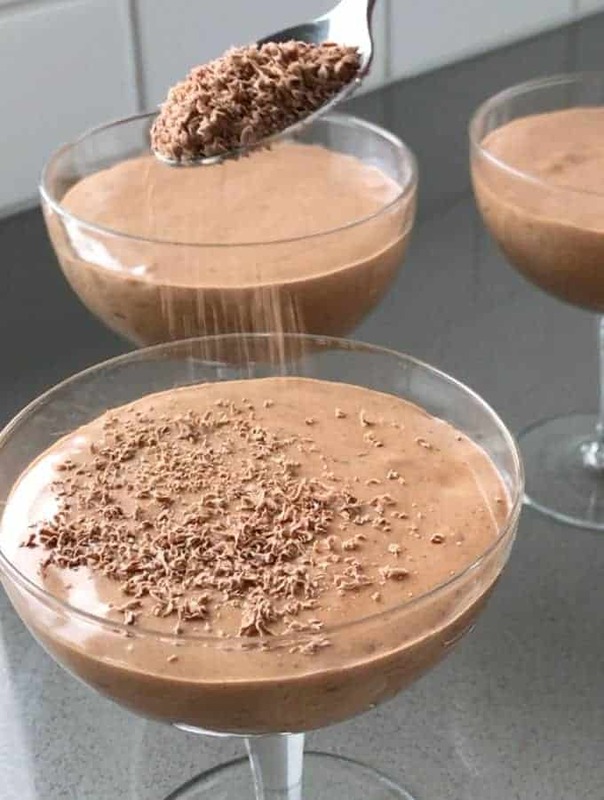 This mousse is best served after at least 4 hours of chilling time and can be kept for up to two days in the fridge. 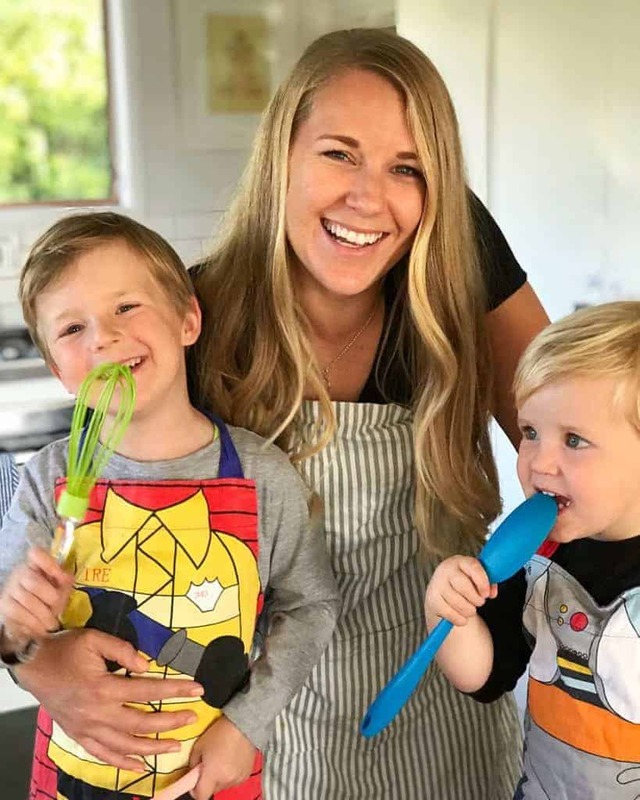 This recipe only has 4 ingredients and is so simple to make. Finely grate 2 tablespoons of chocolate and set aside. Break up remaining chocolate into a bowl and microwave until melted, about 2 minutes. Stir and set aside to cool slightly. Beat eggs with brown sugar for 2 minutes until light and fluffy. Pour in the warm chocolate and fold together. 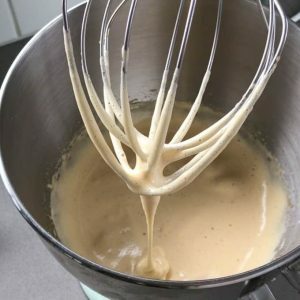 Add the whipped cream and fold again until incorporated. Spoon into 4 glasses or a bowl and sprinkle over grated chocolate. Chill for at least 3 hours until set then serve. This recipe would work well with white, dark or milk chocolate.